Cardinal Forest homes for sale, Laurel Md. Find similar homes to Cardinal Forest homes for sale, Laurel Md. What a great neighborhood! Cardinal Forest in Howard County’s Laurel Md. is one of the most scenic communities in Howard County. This Maryland real estate has a great location between Washington D.C. and Baltimore, Maryland. This small 184 home subdivision is nestled in between All Saints Road and the beautiful Howard County reservoir. Large beautiful landscaped yards are found throughout the neighborhood. Cardinal Forest has a semi-rural feel. The feeling of privacy of the country, yet the convenience of the city just minutes away. America is in love with the Colonial home style and the Colonial can be found in abundance in Cardinal Forest. These large homes are framed beautifully on yards that often exceed a quarter acre or more. Most homes have a two car garage and driveway parking. Some homes can be found with a large porch on the front. So sip your tea and wave to your neighbors as they walk by. For more privacy, just retreat to the back yard and sit on your porch or deck. Most homes in Cardinal Forest have large open floor plans that often exceed over 2000 square feet of living space. Large kitchens, separate dining rooms and full finished basements are common place. Ninety percent of homes in this community have four or more over sized bedrooms. Master bedrooms that feature their own bath and walk-in closet. Living in Howard County Laurel Md. One of the best things about Cardinal Forest is the location between two of the countries biggest job markets, Washington D.C. and Baltimore Md. The National Security Agency (NSA) is just a short commute away as well. In addition to all the job possibilities, both the District and Baltimore offer couples and families plenty of opportunities for fun and adventure. Just a tad further down the road, residents can enjoy a visit to Annapolis Maryland. A little closer in, Historic Laurel Md. can keep you busy learning about one of Maryland’s great cities. Plenty of shopping and dining are within minutes of Cardinal Forest. Be sure to visit Laurel Md.’s own “Restaurant Row” on Route One. Diners can find the Olive Garden, Fridays, The Silver Diner, Einstein Bagels and Don Pablo’s all within walking distance of each other. A little further down the road, enjoy a steak dinner at the Longhorn Steak House. There are numerous place to shop in Laurel Md. In just a short 15 minute drive you can visit the Columbia Mall. The mall is anchored by Nordstrom’s, Lord and Taylor and Sears. Columbia Mall also contains the very popular Apple Store. Feel free to catch an Orioles game in Baltimore or a Nationals game in Washington D.C. Most of the year residents can enjoy concerts at the Meriwether Post Pavilion in Columbia. Cardinal Forest in Howard County’s Laurel Md. is a wonderful place to live. You will be happy with your choice if you decide to move here. You can find homes for sale in Cardinal Forest (if any are currently available) as well has all available homes for sale in Howard County by visiting my web site. 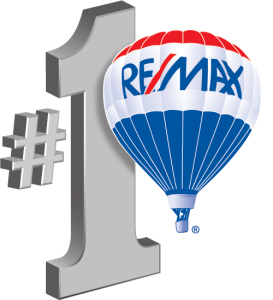 Would you like to know how much your Howard County home is worth? There are a number of sites on the internet that will give you ‘estimates’ for what your home will sell for. These sites use public records and usually some kind of algorithm to try to produce a value for your home. These sites also publicly state their ‘error rates’. That means they aren’t correct, they are simply an estimate based on incomplete date. I would love to do a free comparative market analysis of your home or condo Howard County and let you know what could expect to get in today’s market if you are considering selling. My valuation is based on up to the day data for homes that have recently sold in the area. My valuation is not based on a formula that relies on public records which can take months to update. Please visit my website in order to get your free property evaluation for your Howard County home or condo. « Cherry Tree View Homes For Sale, Laurel Md.